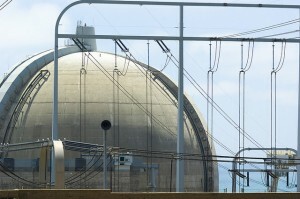 This story begins in 2013, when the San Onofre Nuclear Generating Stations (SONGS) permanently closed, shutting down a nuclear power plant with a capacity of 2,200 megawatts (MW) and sparking a debate about how to replace this lost power source. When first determining how to proceed in the wake of the SONGS closure, the CPUC decided SDG&E could buy between 500 to 800 megawatts (MW) of new energy resources by 2022. Further, at least 200 MW of this power had to – and all of it could – be met with preferred resources like energy efficiency, renewable energy, energy storage, and demand response (an energy conservation tool that pays people to save energy when the electric grid is stressed). SDG&E, one of the joint owners of SONGS, is seeking permission to buy a brand-new 600 MW natural gas plant in Carlsbad, California from NRG Corporation. SDG&E’s argument is that this resource is necessary to fill the gap left by SONGS and provide greater reliability in the face of intermittent renewable energy resources. EDF and like-minded organizations such as the Sierra Club and the Natural Resources Defense Council (NRDC), on the other hand, are rightfully pushing back on this proposal as likely unnecessary and unquestionably premature. For example, rather than paying above-market prices to NRG for polluting power plants, why not work with NRG to help them meet their commitment to invest more than $102 million in electric vehicle infrastructure that could help address reliability concerns? Rightfully, in their recent proposed decision over SONGS replacement, the CPUC sent a clear signal that SDG&E must abide by the state’s Loading Order, first established in 2003 by the California Energy Commission (CEC) and adopted by both the CEC and the CPUC. The Loading Order was developed for just this type of situation: as regulatory guidance to help clean energy solutions be part of the mix when considering how to replace lost power supply. In the CPUC’s own words, when proposing to reject the Carlsbad plant: “we reaffirm our commitment to the Loading Order, and reiterate that it is incumbent on SDG&E to meet its procurement authority to the extent feasible with preferred resources and energy storage.” Though the CPUC left the door open for SDG&E to bring this proposal again if the utility cannot buy the minimum required amount of preferred resources, we believe SDG&E, with reasonable effort, should be capable of meeting the CPUC’s directive. 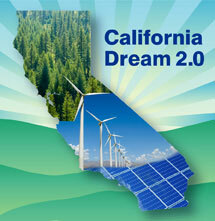 California can make much greater use of demand response programs. Demand response sends a signal to customers to voluntarily and temporarily reduce their energy use at times when the grid is most burdened – thereby preventing the need to ramp up fossil fuel resources to meet demand and reducing system costs and emissions. Incorporate time-of-use (TOU) electricity pricing. By charging lower energy prices to encourage use during off-peak times, or when renewables are available, California can integrate more clean energy resources and relieve strain on the power grid during peak times. In fact, EDF has demonstrated that if half of Southern California Edison’s residential customers adopted a voluntary TOU electricity price, they could replace two-thirds of SONGS’ lost capacity, saving $357 million per year – and the same trend would likely follow in SDG&E’s service territory. Bolster energy efficiency programs. Emphasizing the use of energy-efficient technology will lower demand, offset the need for expensive and dirty fossil fuels, and reduce system costs by avoiding additional power plant, transmission, and distribution infrastructure. For example, in 2010 and 2011, CPUC energy efficiency programs produced enough energy savings to power more than 600,000 households and offset 1,069 megawatts (MW) of electric capacity. Utilize increasing viable storage technologies. By storing energy at times when the sun is shining or the wind is blowing, and drawing on that energy when these resources are not available, storage provides a powerful mechanism to integrate more clean energy and greatly reduces the need for fossil fuels. As demonstrated by the CPUC’s storage mandate for utilities – as well as the fact that Southern California Edison already went above and beyond this directive – storage is a reliable and growing part of the solution. EDF applauds the CPUC for issuing a clear statement on how the SONGS capacity should be replaced – making it apparent that SDG&E should commit to more than the minimum required procurement of energy efficiency, renewable energy, energy storage, demand response, and other clean energy resources. And with SDG&E’s history of forward-thinking energy policy, they should embrace this opportunity for continued leadership. The key to California’s energy needs lies in a suite of solutions that are good for the grid, the environment, and the health of California’s citizens. The CPUC’s statement highlights an important priority for the state in the coming decades to address these needs. This should be the beginning, not the end, of Southern California’s push to adopt preferred resources. Diversifying the region’s energy mix opens the door to a clean, sustainable, and healthy future. UPDATE: In the weeks following the posting of this story, the California Public Utilities Commission issued a disappointing alternate proposed decision that, when it comes to the positive progress on clean energy, changes direction from the original proposed decision. The new proposed decision retracts the emphasis on clean energy resources like energy efficiency, renewables, demand response, and storage by San Diego Gas & Electric Company. Instead, citing “reliability, safety, and cost risk,” Commissioner Picker has approved a 500 megawatt natural-gas fired power plant, reduced from the initial 600 MW proposal. Our outlook on this is clear: this alternate proposed decision is a big step backwards for the state’s transition to low-cost clean energy. In addition to being a vast under-assessment of the ability of clean energy resources to fill the gap left by SONGS reliably, safely, and cost-effectively, this alternate scenario poses a greater threat to the environment and the health of the people in California. Californians want to transition to a clean energy economy and we hope this is not reflective of a change of course for the Commission. This entry was posted in Clean Energy, Demand Response, Electricity Pricing, Energy, Energy Efficiency, General. Bookmark the permalink. Both comments and trackbacks are currently closed.